Euromoney Institutional Investor PLC, the online information and events group, achieved an adjusted profit before tax of £52.4m for the six months to March 31 2013, against £48.6m for the same period in 2012. 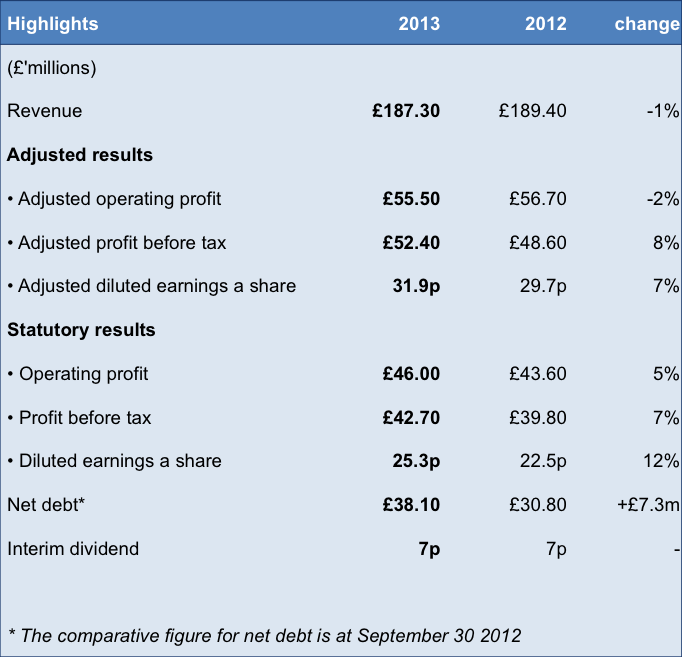 Total revenues fell by 1% to £187.3m. Underlying revenues, after adjusting for timing differences on events, increased by 1%. Subscriptions returned to growth after a decline in the first quarter; event revenues were broadly flat after adjusting for timing differences; and advertising remained weak but only accounts for 12% of total revenues.